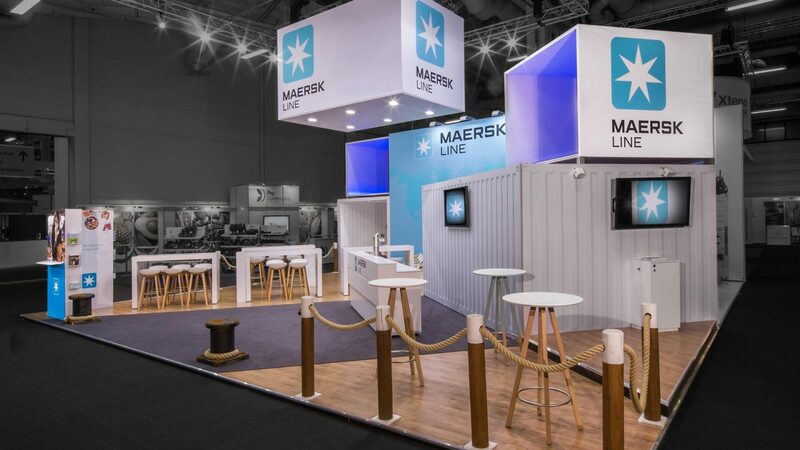 The MAERSK fair stand at Fruit Logistica in Berlin once again exuded the maritime flair of a container port. The container giant is growing. And to ensure that there is enough space for consultations on dry land, the size of the fair stand was doubled from 78 m² to 156 m². 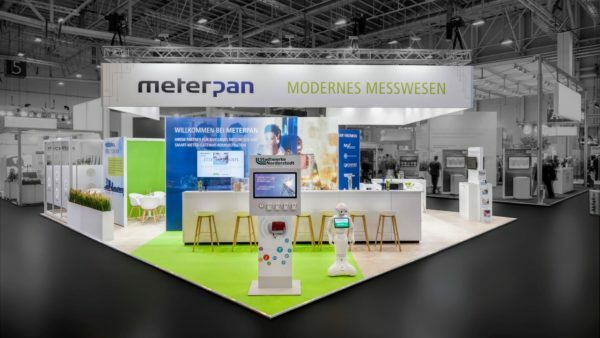 The great thing about the concept is that the components can be easily adapted to stands of different sizes. Visitors had the feeling of being transported to the dock of the bay: the deceptively realistic fabric container elements were rearranged diagonally to create niches for private consultations and seating areas. 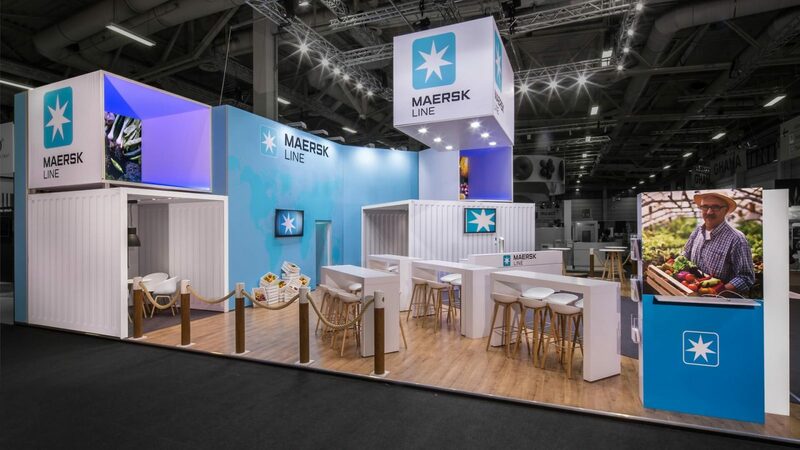 The fabric cube adorned with the MAERSK logo floated so high and so prominently above the stand that visitors couldn’t miss it – even from afar. 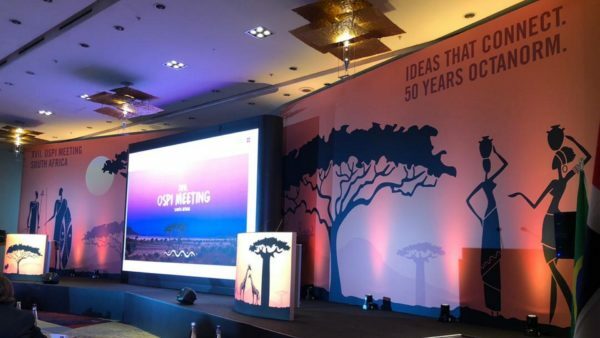 New feature: a slightly raised stage towards the back of the stand, with high tables just in front of it, offered the perfect platform for presentations. 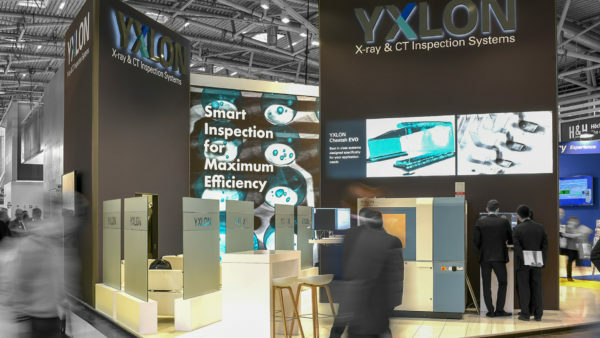 Every single square metre was used intelligently – and there was even enough space for a presentation by Group subsidiary Seago Line towards the back of the stand. 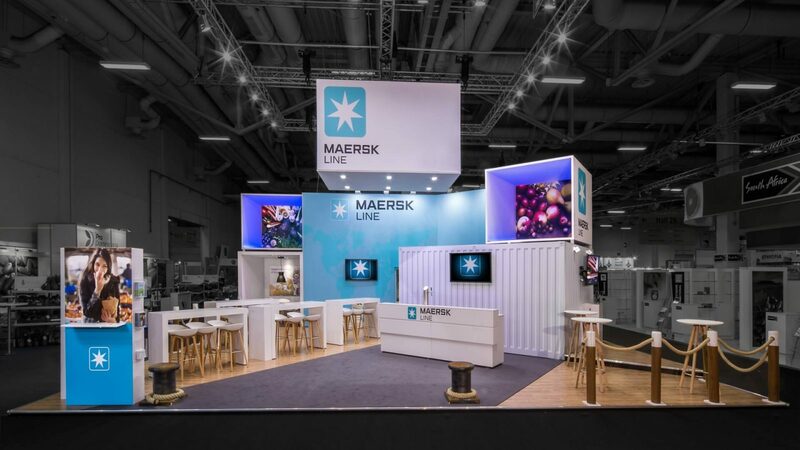 At MAERSK, they are toying with the idea of making the stand even bigger next time – and we can’t wait!